I absolutely NEED to get my hands on this. The Godfather of Soul's backing band and Fred Wesley set the funky tone in the 70s. If you pop a record on by the JB's, make sure you're ready to groove. Its impossible not to. I'll be looking for anything JB's tomorrow, not only this. 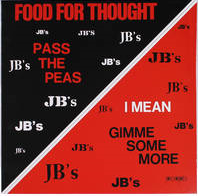 A recommendation for those who haven't heard the JB's, pick up Doin' It To Death. Enjoy. More Info: This reissue of the inaugural release from James Brown’s People Records from 1972 is pressed on 150 gram vinyl, features a 70s style tip on jackets and is housed in an 8 gauge custom bag with an embossed People Records logo. Also included in this deluxe offering: a 22” x 22” poster of the original cover art and a bonus 45 of The Grunt Parts 1 & 2 pressed on purple vinyl. Anything that's live and Kings of Leon, I must have. I get a ton of crap for liking this 'bro-band'. I don't care, they're awesome. If you have ever seen them live (my recent live review of them here), you'd understand why. They rock. I don't care if they're the ball tap brothers. 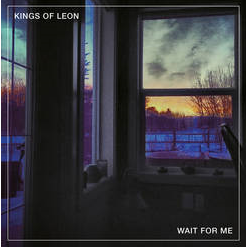 "Wait For Me"/"Don't Matter (Live)"
Not vinyl, but still awesome. I've recently become a big fan of LCD Soundsystem (I know a little late). As I mentioned I love anything live and this being a recording from their last show at Madison Square Garden, makes it even better. The Long Goodbye is the complete, unabridged recording of LCD Soundsystem's near-four-hour April 2, 2011 farewell show at New York's Madison Square Garden. Produced and mixed by LCD founder and frontman, James Murphy. 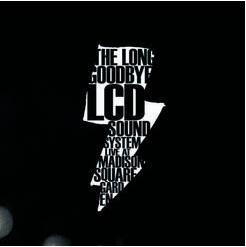 The Long Goodbye is the ultimate audio document of LCD Soundsystem's now legendary final show. The album's exclusive mix brings new life to every note of music played during the epic MSG show- including of course the performances featured in the acclaimed film, Shut Up and Play The Hits, which chronicled the concert by painting an intimate portrait of Murphy navigating its lead-up and aftermath. This special box set will be released exclusively on Record Store Day 2014 over a month before it is available anywhere else. Includes digital download. See you tomorrow morning for coffee, donuts and jamming out.